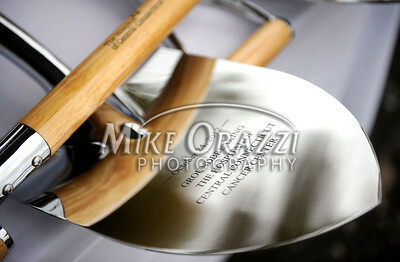 10/24/2012 Mike Orazzi | Staff A shovel from The Hospital of Central Connecticut groundbreaking ceremony for a new cancer center on the New Britain and Plainville line on Wednesday afternoon. 10/24/2012 Mike Orazzi | Staff Gov. 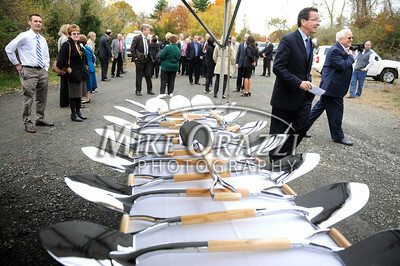 Dannel P. Malloy walks past an array of shovels at the groundbreaking ceremony for the Hospital of Central Connecticut’s new Cancer Center on the New Britain and Plainville line on Wednesday afternoon.